I'm back! Sorry to disappear on you like that but I had to go to Kauai for a bit. It was a lovely vacation and I'll share some pictures with you in my next post but right now I really wanted to share with you the best book I read while I was there -- Book Scavenger by Jennifer Chambliss Bertman. Garrison Griswold is called "the Willy Wonka of book publishing". He runs some one-off book and puzzle related games but his biggest undertaking is an online game called Book Scavenger where people hide books and then leave clues so that other readers can find them. There's a whole points system and it has some seriously devoted users. Griswold is ready to launch his big next game when he is attacked. Emily, a Book Scavenger fanatic, is the one who finds the first clue that launches her unknowingly into the new game. And though she is just getting to know her new home city of San Francisco, she's racing against the clock because she's not the only one who is on the trail of Griswold's next prize and those people aren't playing around. This was such a fun book that I kept trying to pick it up again for days after I finished it. A side plot is that Emily's family moves frequently and so we get to see how she and her brother deal with that, especially as they get older. But, of course, the book parts of the story were the best and were right up my alley. 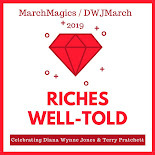 Bertman's skill at combining regular book nerdery with specific San Franciscan literary history, Edgar Allan Poe lore, and cryptography is exemplary. This is a book that I want to read again already! 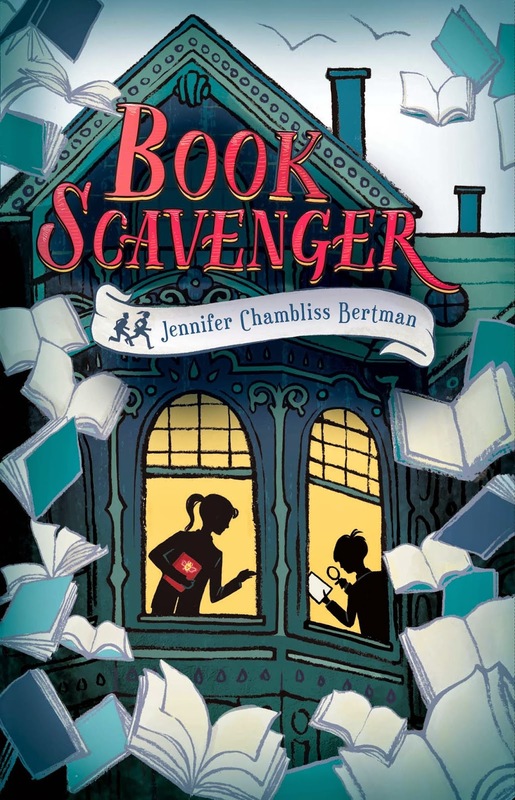 And amazingly, there is a real Book Scavenger game starting up! There are less than two dozen books hidden right now in the US but I can only imagine how that number will swell when kids start getting excited after reading this book and then finding out that the game is now real. Oh, what a brilliant, brilliant book marketing idea! I hope it takes off and turns into the new geocaching. And I hope Bertman's book does really well—what a great premise. I think I need to check this book out! This book sounds like a lot of fun. It's fun and it's a really easy read, great for summer! This sounds fun! Definitely something to keep in mind for when the kids get a little older. Definitely! I'll probably give it to my 11 year old niece while she's visiting this summer. This one looks like so much fun! Adding it to my list right now!